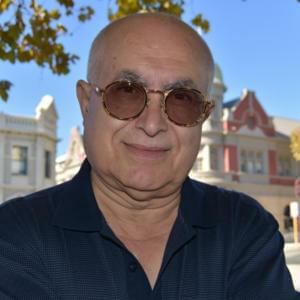 Joseph Chetcuti is a practising barrister and solicitor in Victoria and a registered migration agent. Il­Ktieb Roża: Dnub, diżordni u delitt? (The Pink Book: A sin, disorder and crime?) (1997), the first book on homosexuality in the Maltese language, and Queer Mediterranean Memories: Penetrating the secret history and silence of gay and lesbian disguise in the Maltese Archipelago (2009), the first book in English on homosexuality in Malta, attracted wide media coverage and drew the ire of Malta’s conservatives. He is a 78er and his most recent book is Sydney’s First Gay Mardi Gras: What brought it on and how it changed us (2017).